The worse part of driving a car is the parking woe. What if you were told just as you use Google Maps to navigate through traffic free roads, you could even get an overall idea of parking situation at your destination? Yes, don’t you feel the persistent parking headache lifting off? Yes, so whether you are travelling short distance or long, you no longer have to add in the extra time spent looking for a parking space. This useful feature can be used after your device fulfills certain requirements. You should have an Android device using the Google Maps app for Android. Also, only a select few cities have access to this feature. The cities in the U.S. that have access to this feature include Los Angeles, Minneapolis/St. Paul, Pittsburgh, San Diego, St. Louis, Tampa, Washington D.C., Denver, Houston, Phoenix, Portland, Cleveland, Dallas/Fort Worth, New York City, Orlando, Philadelphia, Francisco, Seattle, Miami, Atlanta, Boston, Charlotte, Chicago, Detroit, and Sacramento. In other parts of the world, the feature is available in London, Paris, Amsterdam, Copenhagen, Barcelona, Vancouver, Dusseldorf, Darmstadt, Sao Paulo, Milan, Montreal, Madrid, Malaga, Manchester, Cologne, Alicante, Rio de Janeiro, Rome, Sao Paulo, Stockholm, Toronto, Stockholm, Stuttgart, and Valencia. 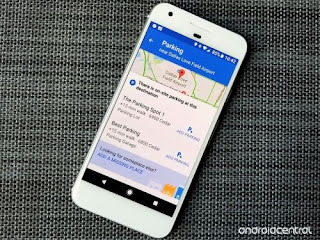 How to Use the Find the Parking Spot Feature on Google Maps? Finding the parking spot feature is now available to almost 50 cities around the world. The information related to parking comes from Google’s ‘machine learning magic’ and ‘historical parking data’ that makes travelling a breeze. When you use Maps, you can learn how much parking is available and which the busiest time of the day is. Thus, you can avoid the rush hours and reach at a time before or after the parking rush hour. Go to Google Maps and begin navigation to the route of your destination. At the bottom of your screen, look for the white destinations card and swipe it up. You need to look for Find Parking icon and click on it. You have to choose from a list of parking garages and parking lots. Once you select it, it will automatically help add it to your trip navigation instruction. Now, all you need to do is swipe up the white ‘navigation card’ and find the new option ‘Find Parking’ near the top. 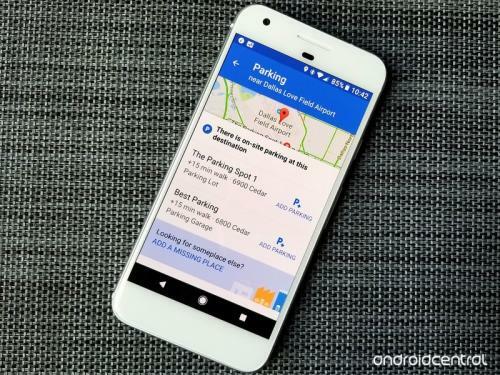 Tap and Google Maps will display a list of public parking garages and public lots that are near your destination. Tap on the parking space you are interested in and you will get all the information needed related to the level of parking available. It will even give you an option of where to park. After you tap and confirm an option, it will be added to your trip navigation. When you park at the designated area, Google Maps will automatically offer you walking directions to your destination and your car parking. This is called as Google’s ‘Door to Door’ service. You can even select your destination and parking location before you even start driving. This way you will keep your eyes on the road and not on the phone when driving. Using this time-saving option is the best way to reach your destination on time without any worry to find a parking space. So if you city features in the list, then find parking space using Google Maps from now on. Oh, but you need an Android device to access this feature!